MtvU, the subsidiary of MTV Networks that is broadcast only on college campuses, will announce Monday that it has selected its first poet laureate. No, he doesn’t rap. And it’s not Bob Dylan, or even Justin Timberlake. Excerpts of his poems will appear in 18 short promotional spots — like commercials for verse — on the channel and its Web site (mtvu.com, which will also feature the full text of the poems). In another first, mtvU will help sponsor a poetry contest for college students. The winner, chosen by the Pulitzer Prize-winning poet Yusef Komunyakaa, will have a book published next year by HarperCollins as part of the National Poetry Series. “We hope that we’ll help discover the next great poet that we’ll be talking about for years to come,” said Stephen Friedman, the general manager of mtvU, which broadcasts at 750 campuses nationwide. The idea of the laureate program was not to create more English majors, but simply to whet an appetite, said Friedman, a poetry aficionado since he majored in literature, philosophy and history at Wesleyan. Ashbery, he added, was the No. 1 choice to inaugurate the position. “He resonates with college students that we’ve talked with,” he said. 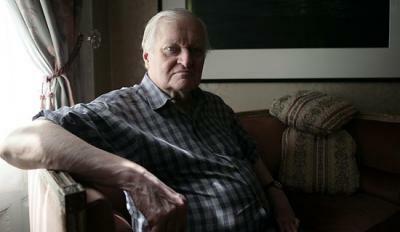 Ashbery, who was the poet laureate of New York State from 2001 to 2003, was immediately receptive. “It seemed like it would be a chance to broaden the audience for poetry,” he said. The excerpts were chosen by David Kermani, Ashbery’s business manager, and two interns and an employee, all in their early 20s, in his office. But will droves of young people respond? August 27th, 2007 at 5:33 pm ewell I am glad MTVu finally got on the ball. I have only been trying to get poetry into the hands of a younger crowd in the last two years on itunes for example. good for them. I wonder if this channel is available on itunes. I will look into it. August 27th, 2007 at 7:40 pm eTHANK GOD Ashbery got another award! Hey, we’re teaching at the same place this semester! August 28th, 2007 at 3:36 am ei wonder if the contest is open only to undergraduate students or if it is open to any university student. if it is open to any university student then it is essentially the same as any other book contest. there are few realistic chances for undergraduate poets to be taken seriously in the poetry publishing world. i would like it if mtvu would post guidelines and some dates so i knew what i was working with here. “but will droves of young people respond?” i don’t know that there is a lack of young poets that were moving along just fine before mtvu became our advocate. droves is a terrifying word to me.